As hosts, Japan automatically qualify, as will the top four finishers in this season’s HSBC Sevens Series. Currently, that’s USA (130 points), Fiji (123), NZ (118), and South Africa (99). England are in fifth, with 90, followed by Samoa on 74 and Australia on 70. Mathematically, Australia can still leapfrog to fourth place if they win the next three legs, and their closest rivals all self-destruct, but that’s not going to happen. A twist of fate might see England overtake South Africa but recent form suggests the Blitzbokke will hold on to claim the last automatic spot. Of course, Australia missed out on an automatic qualifying spot four years ago but it wasn’t critical. The remaining seven Olympic spots are filled by the winners of six regional competitions, plus the winners of a final round of the best of the regional losers. 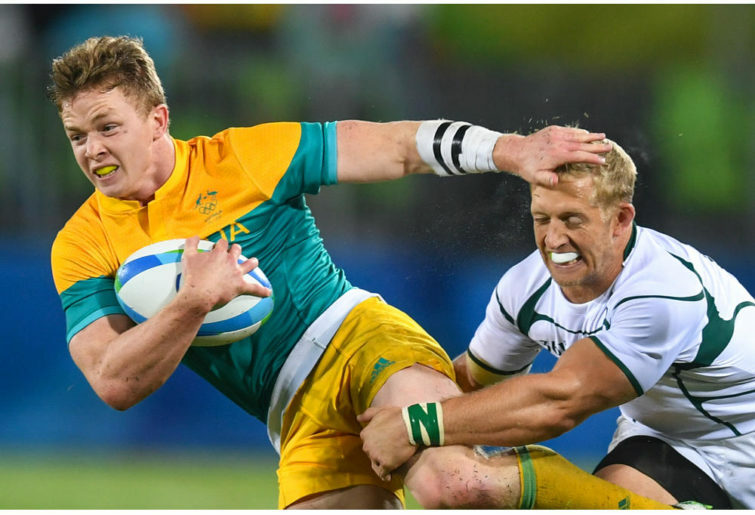 Australia’s next chance to qualify is through the Oceania Sevens Championship, held in November. This was a cakewalk in 2015, with Australia beating Tonga 50-0 in the final, and only conceding a single try across six games. This is virtually unheard of in sevens, regardless of the weakness of the opposition. What makes this year tricky for Australia is the resurgence of Samoa. Four years ago, Samoa was a shadow of the side that used to challenge regularly for sevens titles. After missing out on a place at the Rio Olympics, however, Samoa appointed former NZ sevens coach, Sir Gordon Tietjens. Over the last few seasons, they have started to improve. They claimed a silver medal in Las Vegas this season, and made the semi-finals in Hong Kong at the weekend. Currently, they stand above Australia in the series rankings. They will be tougher opponents than four years ago. The Oceania Sevens route is actually the easiest of the remaining two qualification routes for Australia. Tonga might be a wildcard – they beat Samoa four years ago – but it will probably come down to a shoot-out between Australia and Samoa. If Samoa are victorious, then life will look precarious for Australia. There will be a lot of good European teams contesting the final qualifier. England currently look likely to miss out on automatic qualification, so will be contesting the European Sevens Grand Prix in July. France and Spain – who both made the Olympics in Rio – will also be there, and so will Ireland, who will join the main sevens series next season. Those are four serious teams, and only one can claim the European spot. Germany and Russia will also fancy their chances. Ireland could easily take it, which could mean four teams who qualified for Rio would be fighting for the last spot. France and Spain are both lower ranked than Australia in the current series but both sides have recorded victories over New Zealand in sevens, so should not be taken lightly. Ireland are dark horses. They could be regular challengers on the circuit in coming seasons. Most of the other teams in the final qualifier will be weaker opposition. However, some of the South American teams have claimed big results. Only last weekend, Uruguay missed a conversion from in front of the posts that would have given them a shock win over Ireland. If any top Australia players, like Israel Folau, are entertaining hopes of an appearance at the Olympics, they had better hope the team can get the job done against Samoa in November. The Oceania qualifier takes place shortly after the 15-man World Cup finishes, so there will be no real opportunity to drop in stars like Folau for that match.